Stunning! Crystals of every shape and size adorn this fantastic mocha chandelier. Each arm has a scroll and leaf incorporated into the design. This chandelier has many unique features. 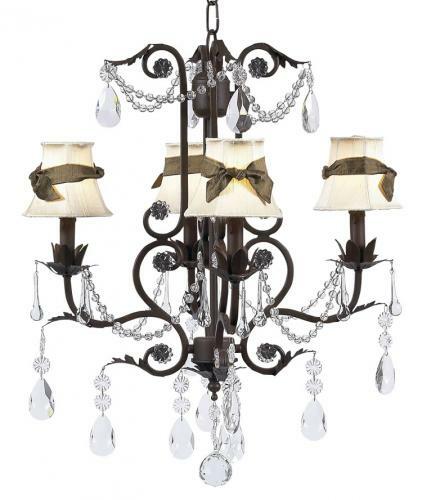 Ivory shades with large mocha sashes accent this Jubilee Lighting piece. Available as shown or without shades. You may select from all children's chandelier shades.